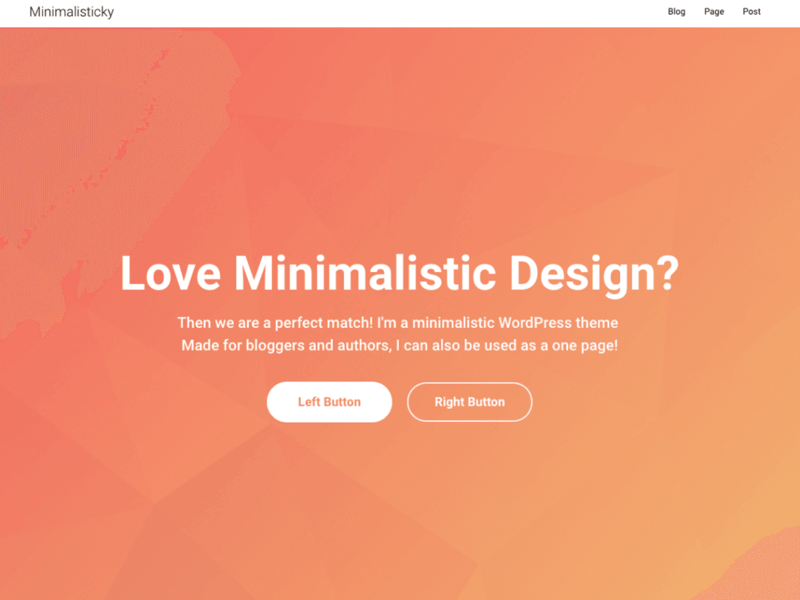 Minimalisticky is a minimal, clean and easy to use personal blog WordPress theme with great attention to details. It is a fully responsive theme and it will look great on any device, be it a 17’ laptop screen or an iPad, iPhone. The max menu depth is 2.